For close to one year now I have been refurbishing and modding old Game Boys. It started out as a fun project where I wanted to learn something new and test the limits of what was possible to do, without investing a lot of money or time. It has been fun but this Game Boy pictured above is likely one of the last I will do, if not the last one. I’ve grown a bit tired on doing this and since it’s getting harder and harder to get hold of second hand Game Boys in Sweden that are in good enough shape to work on, now seems like a good time to move on to do something else on my spare time, like making more music again. Also my source for most of the spare parts are located in the UK, which as you may know are very likely to not be a part of the EU soon, meaning there will be extra costs for customs for everything ordered from there. Anyway, so please enjoy this last or one of my last modded Game Boy DMG-01. It’s an original shell in great condition with new green plastic screen and see-through buttons. All the usual mods for greater image quality and sound. 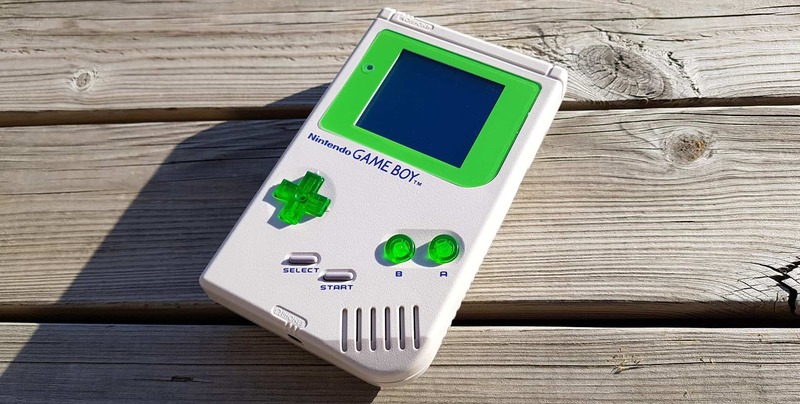 Perfect for the serious retro gamer or LSDJ / Nanoloop Chip musician. Available on Ebay as I’m writing this.